FEEL BETTER, LIVE BETTER, BREAK UP WITH THE PAST AND CREATE THE FUTURE ! In this unique CLEARING/HEALING SESSION I will first take an energetic measurement as well as an intuitive scan of your current “frequency” and energy field. Secondly, based upon those findings, I will attempt to move your vibration up to an ideal level by clearing blocks, limits, and so forth. In conjunction with that, we can discuss any concerns about relationships, employment, finances, health etc. and do specific clearings of energies that may be affecting or limiting your creation powers in these areas. 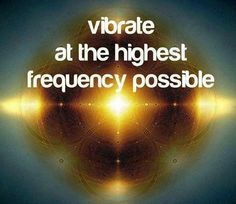 When I do this work with you I will be connected to the highest possible vibration of Light and Creative Source to assure all is in your best interests and spiritually connected to your life plan. What Lowers our Vibration? Each individual is fashioned by their unique experiences. Conscious and subconscious thought patterns and habits. Belief systems. Repetitive negative reactions. World views. Energetic contracts and agreements with others. Desires. Fears. Expectations. Influences. Exposure to non-beneficial energies from situations, environments, individuals and the like…all these can reduce the higher frequencies, limiting the creative energies of love, happiness, fulfillment, ease, connection – and contribute to weakened physical vitality. How do you raise vibrations with this particular method? Most simply by eliminating what is interfering with your ideal frequency so that you are more in harmony and in the best position to generate your power of intention to heal, to break the cords or negative emotions/relationships that are bringing your vibration down. 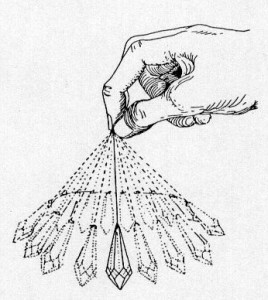 I engage a focused intent, and with the use of a pendulum scramble the frequencies of lower, denser energies in your field and subsequently open the pathway for high vibration energies of love, freedom, ease, healing, etc. to pour into your energy field. The shift has an immediate effect. Many people feel the difference in a new lightness of being or a sense of being free of a burdened feeling. Being in an ideal creation frequency is a high vibration condition and it puts you more in harmony with your physical body. Being in an ideal creation frequency also includes being more in touch with your higher self and your spiritual guides and Divine Source. Access most easily comes through your ability to be clear. Best decisions naturally follow. The Law of Attraction is actively positive. You feel better……right away! And then build on it. How I approach these obstructions and limits: By using Energy to affect Energy with a specifically focused intent based upon your needs and desires, I use the pendulum as an energy healing tool. I measure vibration levels and also use it as a dynamic indicator of the clearing actions and reactions.. It’s akin to reducing static or interference and promoting a clear broadcast into the higher vibration states. By clearing limiting energy to allow flow of creative energy, your vibration levels will be more constant and balanced. In this state of being, you will be encouraging your guidance system to enjoy the present, release limits of the past and help map out the route best suited to your divine plan destination…better known as the “future”. In addition, being in a coherent state with your physical body will encourage healing and balancing of functions. Process usually takes an hour. Cost is $75. If you want to experience this modality, please call me for an appointment. Next Post: WHY LEARN REIKI? Copyright © 2019 Energy Connection. All rights reserved.